When we moved to our Watford Gap kennels in Little Hay, on the Birmingham/Staffordshire border, in March 2015 we wanted to increase awareness of Hall Green and greyhound ownership in that neck of the woods and have a place for fellow greyhound fanatics to meet up. The obvious answer was to re-create the success of our long-running Waseley and Worcester walks in the Lichfield area. The Lichfield walk is now well-established and has gone from strength to strength with around 40 dogs and their owners joining us each month. Beacon Park in the middle of the beautiful and historic Lichfield provides the perfect setting to meet up and explore the local area . There’s the opportunity for refreshments at the Lakeside Bistro near the children’s play area where we meet at the start and finish of the walk. We would like to invite you to join us on the third Sunday of every month. There is ample parking at Beacon Park’s 3 car parks, and a fabulous children’s play area. Just come along and look for the hounds! As with the other walks, meet at 10:30 for an 11:00 start with a raffle at the end of the walk for the humans and sausages for the hounds. 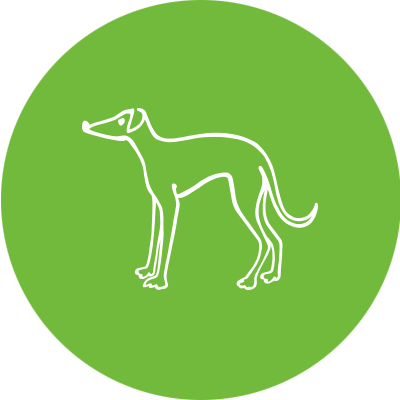 All dogs welcome but especially sighthounds. Located in the centre of Lichfield, Beacon Park is well signposted. The Lakeside Cafe can be located on Sat Nav’s with the postcode WS13 6QZ.